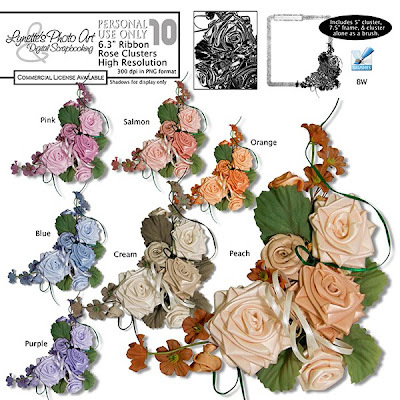 Your ribbon rose clusters are beautiful! Thank you for sharing. I am constantly amazed at your generosity & the beautiful things you come up with! Thank you so much! Thank you! Your blog post will be advertised on the DigiFree Digital Scrapbooking Freebie search engine today (look for timestamp: 29 Jul [LA 07:00pm, NY 09:00pm] - 30 Jul [UK 02:00am, OZ 12:00pm] ). I hope your brand new shop has a great success !! Thank you for the gift! Sending HUGGs from WA!